When friends at Lamborghini let us know a brand new Huracán Spyder was coming in, we just had to get our hands on it to take a ride. Let me start with the design of the car itself, which is something that has me so impressed. The pictures simply cannot do it justice. 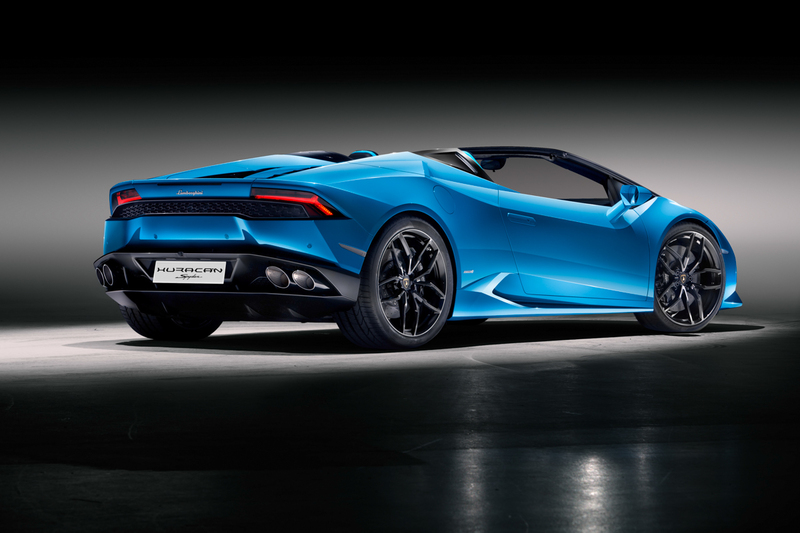 With a design “based on the spiky hexagonal forms of the carbon atom” Lamborghini obviously set out to make a lasting visual imprint with this car. 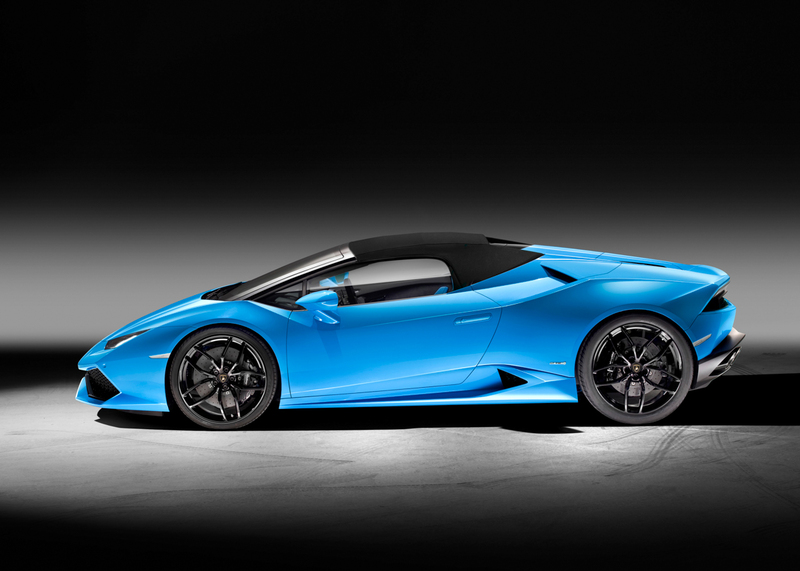 The bold, aggressive styling compliments the character of the car so well and with signature visuals such as the tail lights, the front aero and the engine casing you can only see Automobili Lamborghini when you glance upon the Huracán from near or far. 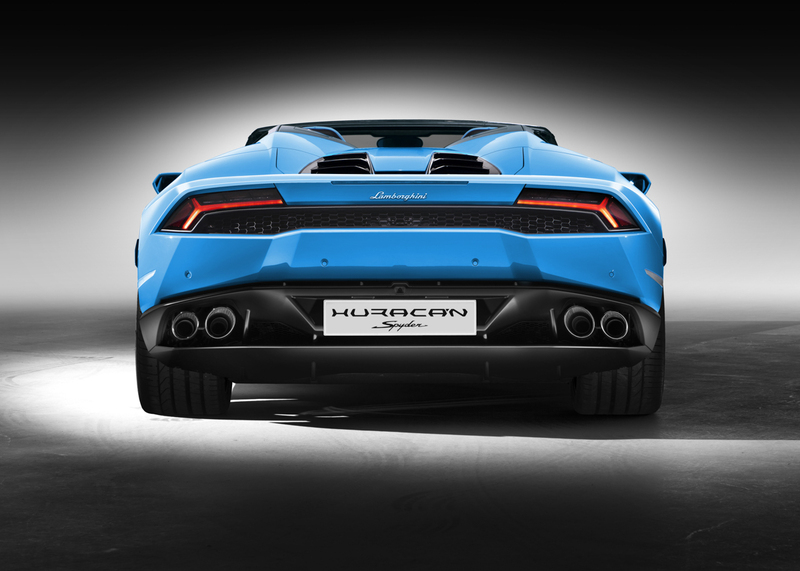 With other models on offer including the Huracán Performante and the Huracán RWD (both with Spyder configuration available) the standard Huracán Spyder sets the bar with some impressive performance figures. Housing a rear mounted 5.2 Litre V10 Engine making 610 Horsepower revving to 8.250 rpm (which sounds fantastic), this bull will get from 0-60 in 3.4 seconds and up to a top speed of 201mph. 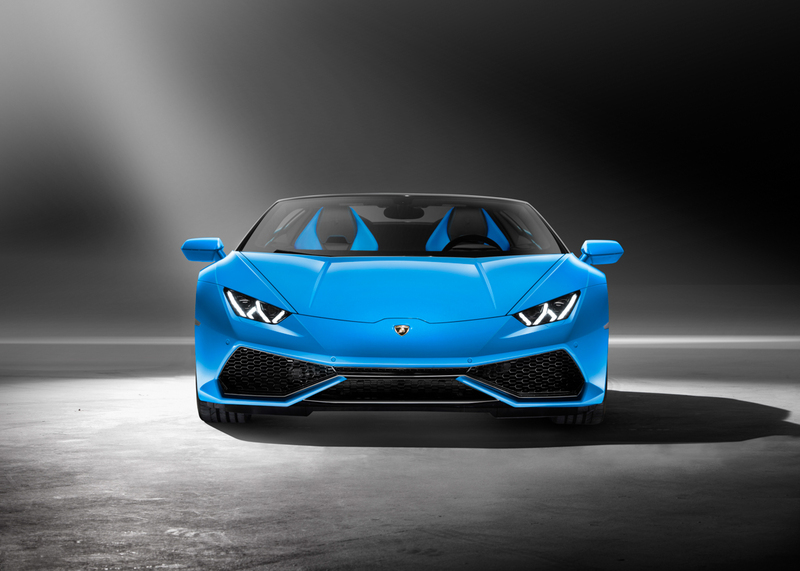 The car carries Lamborghini’s Doppia Frizione Dual Clutch Transmission which fires the driver through the seven gears rapidly. With a few more inches of height it would be a tad difficult to get inside the Spyder, but I’m 6”2 and It’s a pleasure to let you know I fit inside perfectly. Once you are inside, you find yourself surrounded with buttons, screens, textures and finishes of all kinds. Not too much, but very stealthy and very tasteful. The seats are cosy at first, but begin to hurt eventually, usual with cars of this nature, however you never seem to care when driving such a machine! Top down, screaming V10 and all the dynamics you could wish for! Particularly a fan of the performance dials with Italian lettering, the engine start button with its fighter jet ignition switch and also the virtual cockpit taken from family members at Audi and beautifully implemented into the baby bull. The roof is well constructed and performs it’s 17 second process up to speeds of 31mph, enabling you to get more V10 when you want it. There is also a small window, similar to that in the R8 V10 Spyder and that is a lovely device if you want to hear your engine note whilst having the top of the car closed. Thankfully, the majority of our time with the car was spent with the roof open thanks to good weather in London. For Once. This car is built to thrill. It has eye-watering bodywork and makes one hell of a noise, but it is also not a gimmick in any way being where it is in the Lamborghini range. The performance and dynamic handling capabilities of the car ensure a solid drive with brilliant traction, forceful exit speeds and simply rapid acceleration when you need it. The car has a beautiful nature in how it puts its power down to the road, and the transmission and chassis play a big part here making for an addictive drive time and time again. With a carbon fibre and aluminium framework, the car is not only lightweight but incredibly strong. 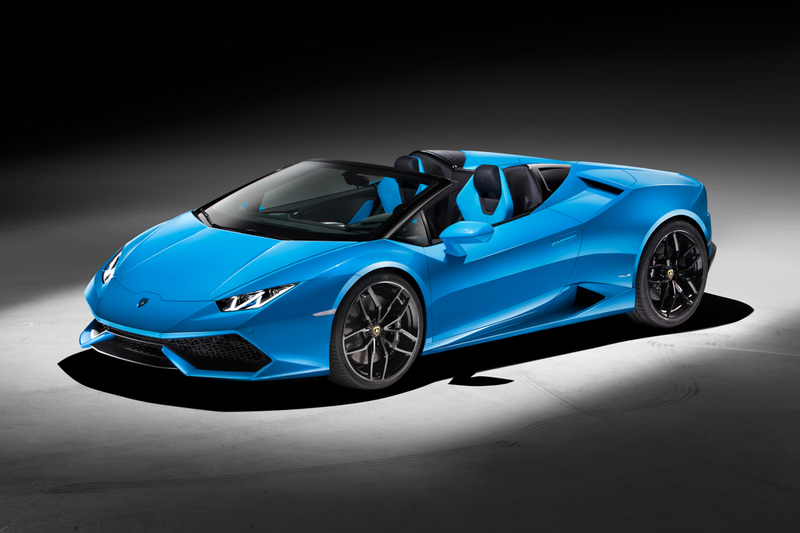 All wheel drive ensures all weather performance and the road eagerly awaits every time you step foot inside this supercar and drop the top. It certainly has the brains and if looks could kill… Well, you wouldn’t be reading this.